However, new technologies may exist. The article (5 Free Standalone Subtitle Players) lists some other options. Please follow the instructions carefully, especially regarding your operating system. (We are not responsible for any errors/difficulties encountered). 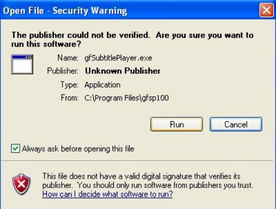 Because the Greenfish Subtitle Player is a stand-alone application, there is no need to rename the srt files. 2) Open the srt file of choice by navigating to its saved location. 3) Click Pause on the Greenfish Subtitle Player. Note: You may not be able to use Full Screen with Windows Media Player (WMP). 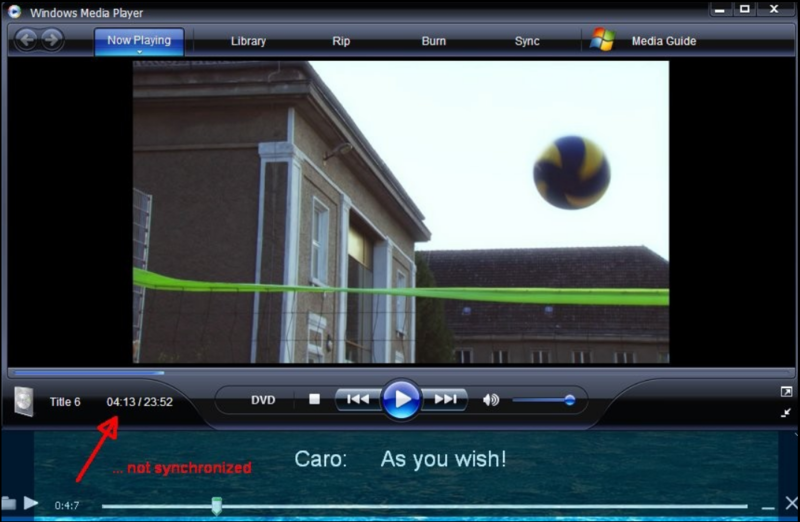 Maximize the WMP view to allow for the subtitle player above or below. 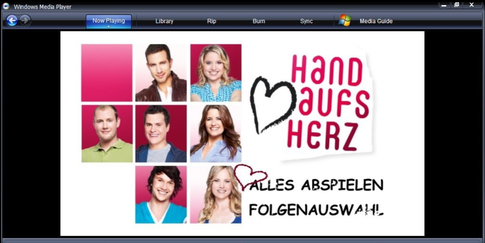 Note: The subtitles do NOT include "Previously on Hand aufs Herz" nor do they include the Introduction. Wait for those to finish playing. 5) "Wrestling the alligator/crocodile" ... synchronizing the Greenfish Subtitle Player with the episode dialog is a bit of a challenge, but practice makes perfect. The time-codes are 'soft' (nearest 1/2 second) to accommodate synchronization issues. 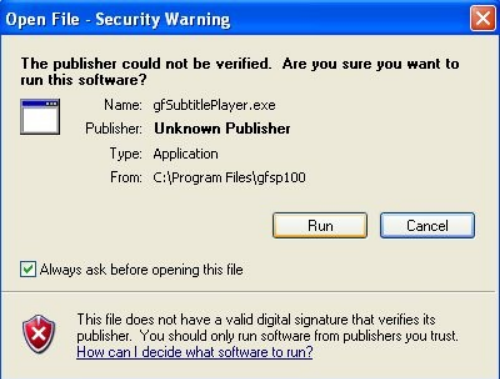 Note: Use play/pause on either or both the media player of choice and/or the Greenfish Subtitle Player until either: the two time-codes match (see image) or the dialog matches. Note) VLC & Media Player Classic 'may' render the time a bit differently. Additional synchronization adjustments during the episode may be necessary. Good luck! Have fun! Stay Jemma! Thank you for doing these! Is this an ongoing project or will people no longer do it? Just wondering whether to buy past episode 30. The file for Ep 30 seems to not work - the rest are great! Thank you so much. you know that you are great, do you? Hi there. I'm a bit late to the party, but this is an amazing resource. Thank you all so much for your hard work! Thank you very much for all the work you did. You are great! !